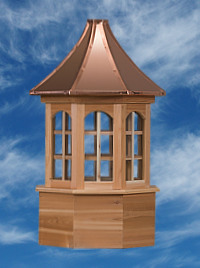 Our Kingston Cupola is part of our Estate Series. 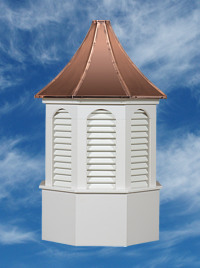 It features louvers, a octagonal configuration and a copper pagoda shaped roof. 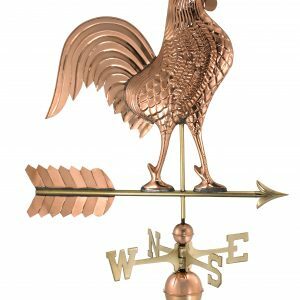 It’s constructed from AZTEK to protect it from rot, moisture and insects.